It was spotted in an FCC filing back in June, but Huawei has today confirmed the MediaPad 7 Youth, a full HD 7-inch Android tablet aimed towards the lower-end of the market. The latest in Huawei’s MediaPad range sports an aluminium metal unibody that’s 9.9mm thin and weighs 350g, which is sleeker, but also slightly heavier than Google’s renowned Nexus 7 tablet. 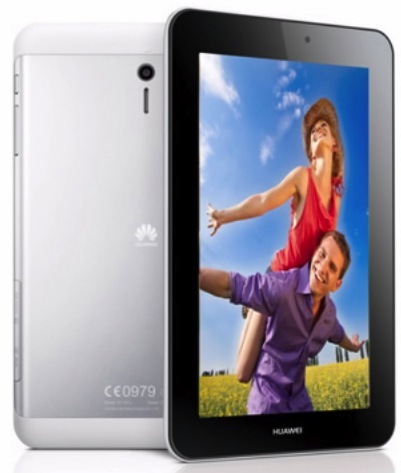 The 7-inch, 1080p display is a 10-point touchscreen, hiding an unspecified dual-core 1.6GHz processor under the hood. RAM and internal storage is also unknown at this stage, although Huawei has confirmed that it’s running a pretty stocky 4100 mAh Li-Polymer battery to take users through the day on a single charge. The company boasts that it’ll last two weeks on standby, although that means relatively little in terms of practical use. Rather like the Fonepad unveiled by ASUS at Mobile World Congress in February this year, the MediaPad 7 Youth also supports Wi-Fi connectivity and mutiple networks on HSPA+ – thereby offering voice calls, SMS and MMS messages at all times. The form factor means the MediaPad 7 Youth will unquestionably be regarded as a tablet – that’s how Huawei is pitching it themselves – but it’s actually a smartphone for all intents and purposes. Whether there’s a demand for such a device remains to be seen – placing a tablet to your ear never looks particular comfortable or subtle – but presumably Huawei thinks there’s a group of consumers looking for the functionality of both a smartphone and tablet in a single device. The device will compete with the Galaxy Tab 3, which Samsung recently launched as a 7-inch, 8-inch and 10.1-inch version, as well the deluge of larger Android smartphones already on the market. The MediaPad 7 Youth runs on Android version 4.1, which by now is a slightly dated version of Google’s popular mobile operating system. Huawei’s hasn’t clarified, but it’s almost certainly running the company’s Emotion UI skin on top, complete with multiple themes and various exclusive apps. Pricing is yet to be announced, but the MediaPad 7 Youth will be launched in Russia, China, Asia-Pacific, the Middle East and Europe throughout the third quarter of 2013. When more hardware specs for the device are confirmed, we’ll be sure to keep you posted.